Items purchased on Shopmotorsport.com may be returned if they are defective, if you were sent erroneous items or if the items were ordered by mistake. 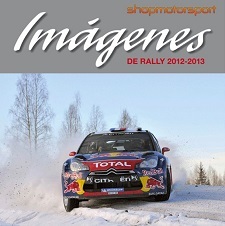 To initiate this process, please contact us by sending an email in Spanish or English to info@shopmotorsport.com. Once we have verified the reason for return, our transport operator will be dispatched to collect the item(s), and within fifteen (15) days we will proceed with shipping your new item(s) or refunding the amount for the returned item(s). If the item is defective (or if you were sent erroneous items), an identical item will be shipped to you. You will not be charged for shipping to return the defective or erroneous item(s), nor will you be charged shipping fees to receive the replacement item(s). If you are making a return because of a purchasing error, you will be charged for shipping to return the item(s) and you will be charged for shipping fees to receive the replacement item(s).